Ron and Hermione. I hope this hasn't been posted already, apologies if it has!. 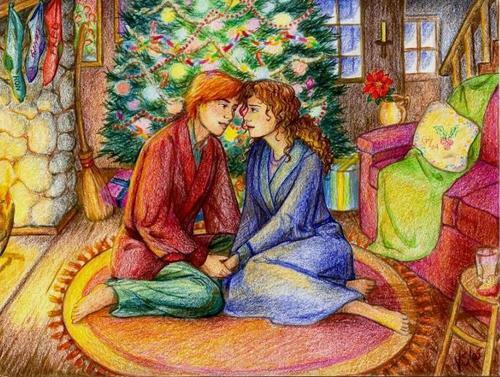 HD Wallpaper and background images in the romione club tagged: ron harry potter hermione fan art romione.